The overall academic profile of the applicant pool rose with increases in unweighted grade point average, ACT composite scores and mean SAT combined scores. The demographic composition, including number of domestic students of color and international students remained consistent with past years. At over 27 percent, this year marks the tenth consecutive year in which more than 20 percent of incoming first students are domestic students of color. One in six are first-generation college students. One in six are from low-income households. International students come from 24 countries from Syria to Nicaragua and Myanmar to Morocco. “Our incoming class of students is highly accomplished, and we are excited to see what they will achieve next,” Villanueva said. 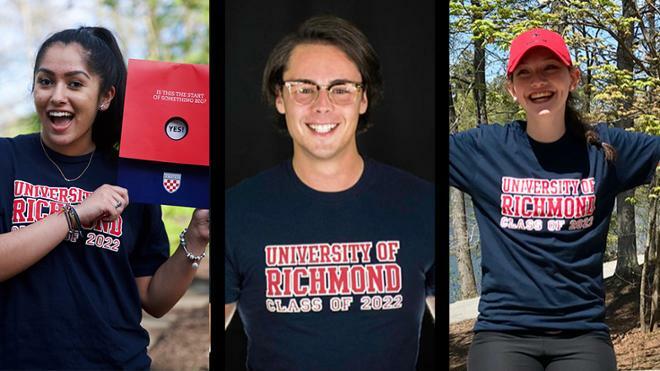 The University of Richmond will welcome new students from around the world to campus for the 2018-19 academic year with classes beginning Aug. 27.